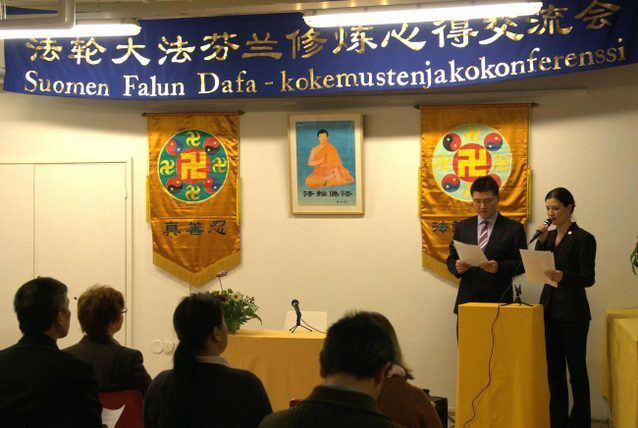 On December 4, the first Falun Dafa Cultivation Experience Sharing Conference in Finland was held in Helsinki. Ms. Jin shared in her talk that she had been in a car accident. Although she believed Master protected her from harm, she also felt that the incident happened as a result of shortcomings in her cultivation. When she looked inward, she found that she was not focused when reading the Fa and doing the exercises. More than 10 practitioners presented experience-sharing articles. The conference ended at 5:20 p.m.